Los Straitjackets swing at The Bell House on Halloween! Halloween night can be a drag. Or it can be the most fun in the world: especially when The Fleshtones, Los Straitjackets and Finger Lickin’ Friday are involved. On Halloween night, 2014, all of these ingredients were most definitely in full effect: The Fleshtones and Los Straitjackets split a bill at The Bell House, and Finger Lickin’ Friday also took place that evening at the Grand Victory, with Phast Phreddie the Boogaloo Omnibus signed on as guest DJ. 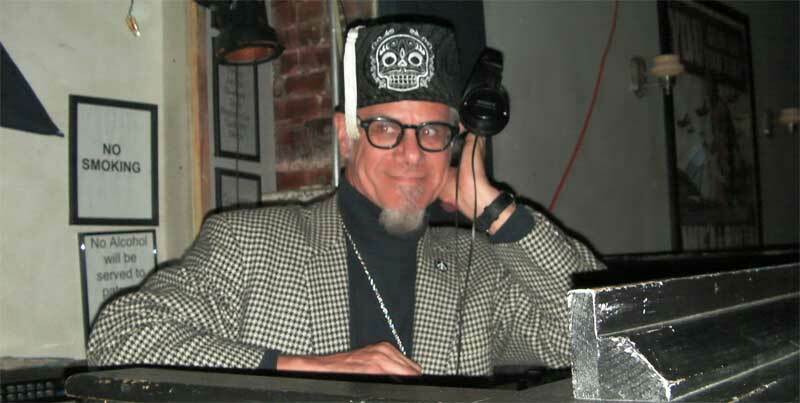 Deke Dickerson swings with Los Straitjackets at The Bell House on Halloween. 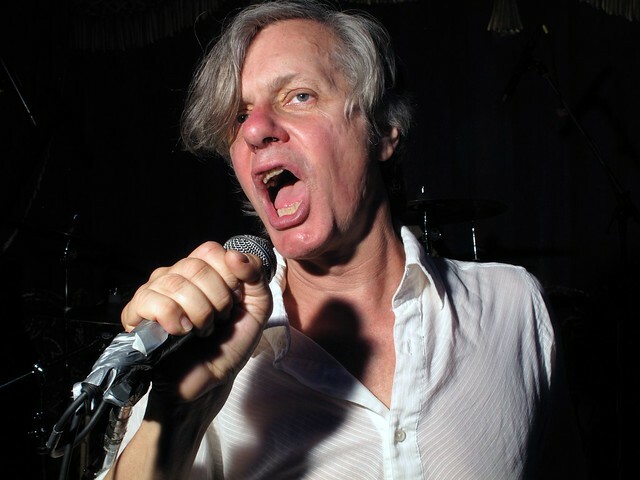 The fun and excitement commenced upon walking into the main show room of The Bell House, where our pal Todd-O-Phonic Todd was spinning spooky records as the crowds waited in anticipation of the appearance of the world’s greatest Super Rock band, The Fleshtones. The ‘Tones did not disappoint—the group played a super fine set of favorites and new songs and rockin’ stuff and all sorts of great-googly-moogly! Included in the show was the Boogaloo Bag favorite “Dance With the Ghoul Man” that was resurrected just for the occasion. The be-masked Los Straitjackets are one of America’s greatest Rock ’n’ Roll instrumental groups of all time. Their brand of souped-up, super-sonic surf music is simply sensational! 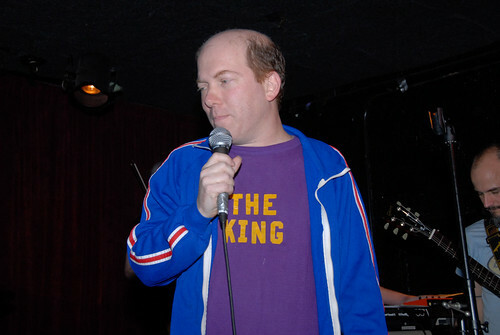 When a fabulous vocalist augments the group, such as the case on this night in the personage of Deke Dickerson, the group just takes off into outer space. Mr. Dickerson was in the guise of an undead Elvis and added blood-curdling screams in the night! 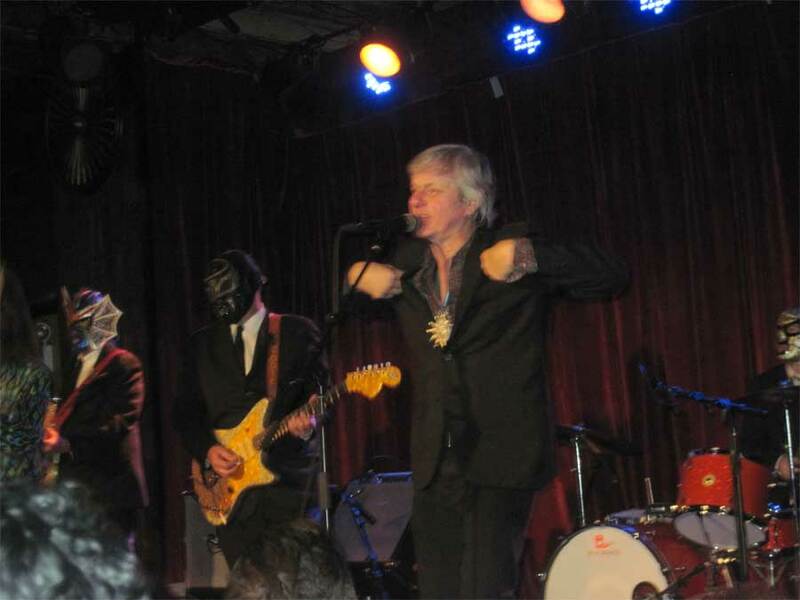 The festivities at The Bell House came to an end when Peter Zaremba and Keith Streng (donning a wolf’s head mask) of The Fleshtones sang “Que Monstrous Son” with Los Straitjackets. What can top that? Charles Gaskins swings at Finger Lickin’ Friday! Phast Phreddie the Boogaloo Omnibus swings at Finger Lickin’ Friday! 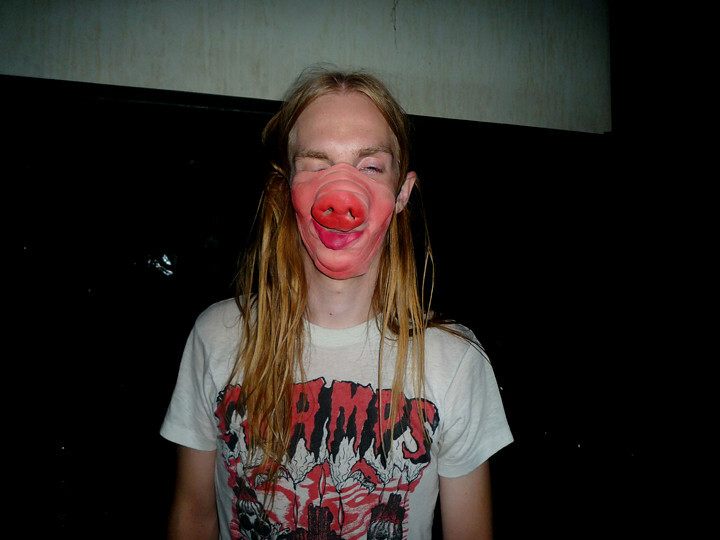 Then it was off to Williamsburg and the Grand Victory for Finger Lickin’ Friday, which was already in progress. For those unhip to the scene, Finger Lickin’ Friday is a cool DJ night hosted by our pals Charles Gaskins and Drew Redmond. These two boss jocks play the wildest in rock’n’roll, R&B and such all night long, as Brooklyn Babydoll shakes her thing on the stage. Not only was this event happening on Halloween (several people were dressed as animals! 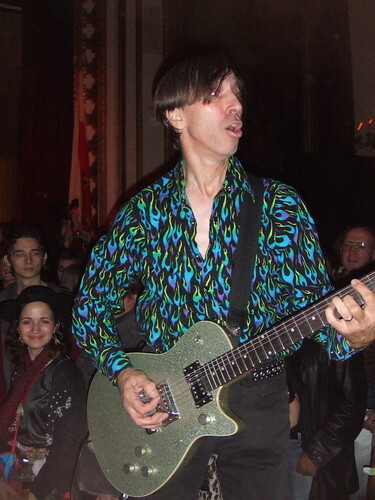 ), but it was also billed as a tribute to The Cramps. 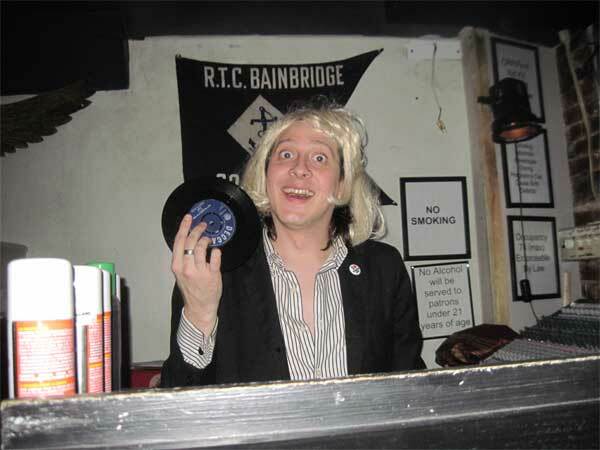 Indeed, as the Boogaloo Bag writers entered the venue, guest DJ Señor Dos Platos was blastin’ a Cramps track and then one that they covered. 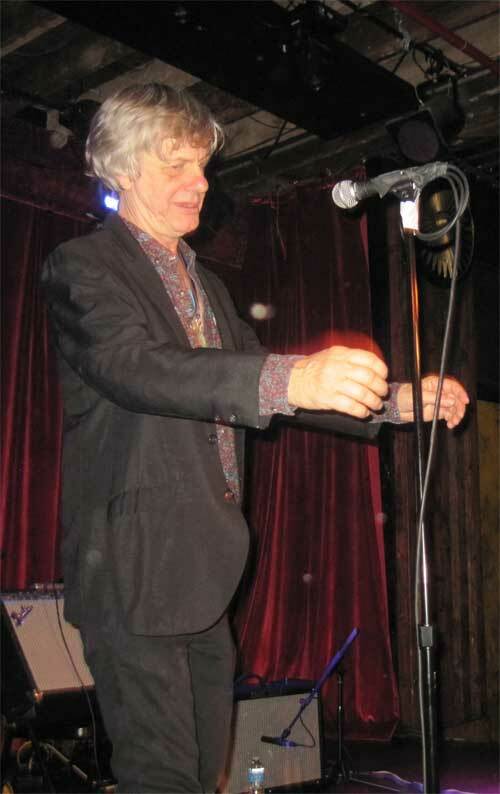 Peter Zaremba of The Fleshtones does the Frankenstein Walk at The Bell House! 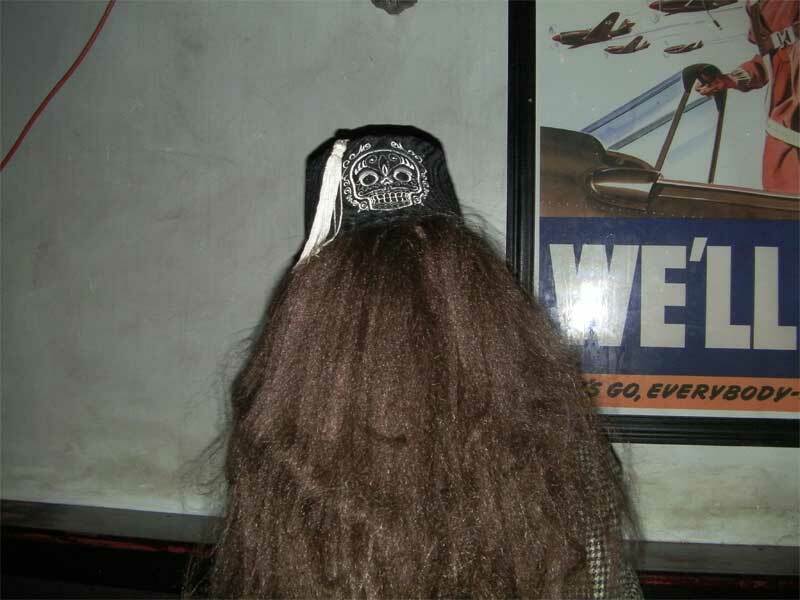 Cousin It made an appearance at Finger Lickin’ Friday wearing a familiar fez!!! Peter Zaremba swings with Los Straitjackets at The Bell House!!! This entry was tagged 45s, boogaloo, Boogaloo Omnibus, dance, Fleshtones, Halloween, Los Straightjackets, spooky, super rock. Bookmark the permalink.